There are many Farkhundas in my country. Every day, women are being beaten, killed, and burned by injustice. 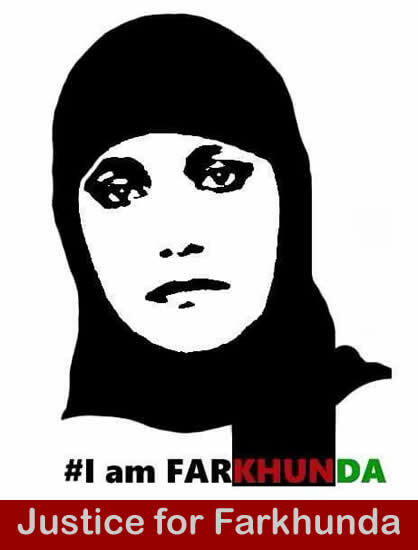 There is no justice for Farkhunda and for our sisters in Afghanistan. This is a land of horror and shouting where all are depressed and disappointed. Everyone shouts and curses and then somebody kills and somebody else loses her life. Our land is filled with the smell of blood and corpses of children. Old and young have fallen to injustice in every house on every street. Each daughter of this land is a Farkhunda who never knows when or where she might be killed or burned by angry men. Afghanistan is a land of untold pains and violence. Here, women have no eyes for seeing, no ears for listening, no mouth for talking, and no heart for love and feeling. Men view women as machines. Women are like walking dead people. In the light of day, Farkhunda, a 27-year-old religious woman, was burned and no one in that mob reached out to help her and try and save her from the clutches of the angry men. I understand you, Farkhunda. I understand that you endured a lot of pain and my heart will hold your pain forever. When I think about you and I write about you my heart stops and I cannot breathe. I don’t know where justice was on that day; I don’t know where humanity was at that moment. I am embarrassed for being absent and I promise I will not lower my voice until our government brings justice for you and everyone like you. Violence against women by government authorities and angry people must stop. I am very concerned about our government. Our government in Afghanistan is corrupt. Everyone is concerned about their name and position, so justice is lost in their talk and words. There is no justice. We never see any articles in Afghanistan papers about justice and we never see laws being passed regarding justice for women. This is a concern for all people in Afghanistan. Innocent people are being punished instead of the criminals. Afghan police and authorities use their power against the poor instead of against these criminals with their power and influence. There are so many unaccountable and corrupt people involved in our judicial system that there is no place in Afghanistan that offers justice. Thank you for your sharing your powerful perspective, which are informed by your lived experiences as an Afghan woman. You show courage when you speak up and speak out against the degrees of injustice against Afghan women. I appreciate your honesty, the power in your outraged voice in Farkunda’s name, and your insistence that an injustice against one Afghan woman is an injustice against all women. Your words pierce my heart, and my heart goes out to you and all of the women who suffer from this injustice. Your bravery and honesty is heard. As women, we must support each other across the world.